2013 is going to be a good year! Now, it has been 10 days after the start of the year of 2013. We all, I guess, survived from the end of the world day in 2012 and I know from then, 2013 is going to be a good year for all of us. 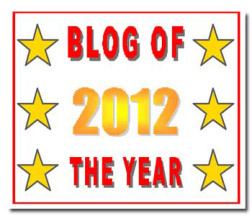 It was good for the blog too. 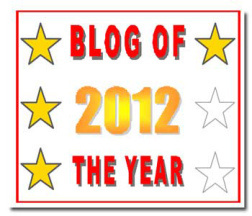 Within this 10 days, I have received all the 6 stars for the Blog of the year 2012 award. 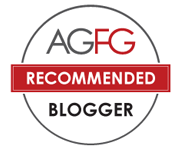 Thanks to Fae, from Fae’s twist and tango, for her generosity in nominating me for the award. 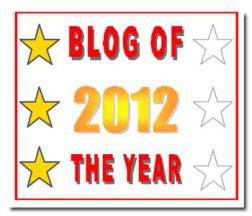 At this stage, I’ll keep the torch home :P.
In the year of 2012, I came across many of good, informative and inspiring blogs. Thecookingchook is one of them. 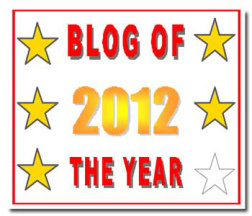 Many thanks for her nomination on my blog to the Inspiring award. 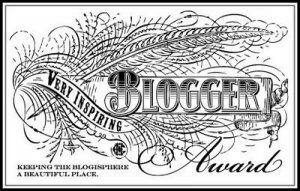 I’ll keep it for myself for now and will use it to nominate new and inspiring bloggers throughout the year of 2013. Congratulations! All well deserved! As The-Cooking-Chook said, 2013 will be a spectacular year! 😀 ))) Fae.